Radiant Bible Study is a great place for women of all ages to meet together weekly and grow in their relationship with Christ through Bible Study and fellowship. Bible Study meets on Thursday mornings with various classes for you to select from. We offer Thursday morning as well as Wednesday evening class opportunities for women to choose a time that works best for them. If you have questions or would like any further information, or to pre-register for a class, feel free to contact us at or 678-405-5047. Join us late winter/spring 2019 as we take a closer look into the lives and lyrics of these six, well-known and beloved hymns. Each verse, woven into the heart of it's composer, unfolds soul saturating Scripture, giving life and eternal impact to all those whose voices have echoed their melodious sounds throughout the ages! 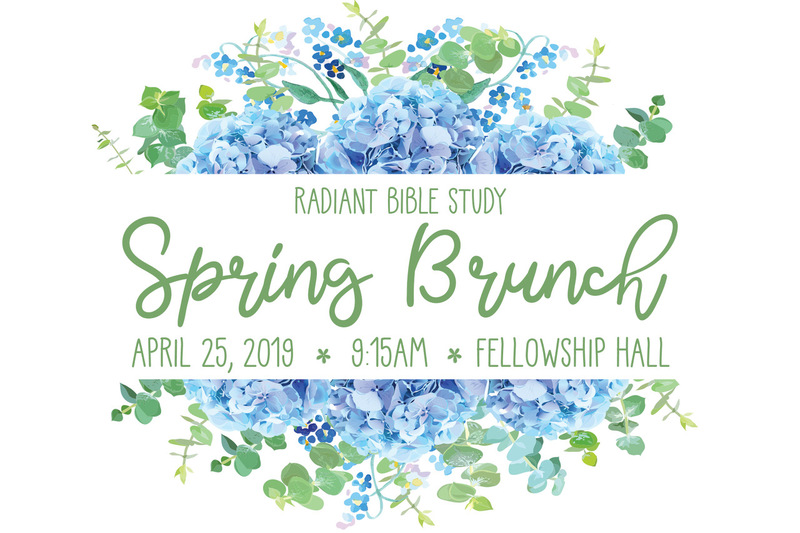 Ladies, you are invited to our Radiant Bible Study Spring Brunch with guest speaker, Sharron Skipper. Please make plans to join us on Thursday, April 25th at 9:15am in the Fellowship Hall. It’s going to be a great morning of fellowship! As always, childcare is provided by the church at no cost. We just ask that you register for childcare here. View our Wednesday night classes for women here. Please contact Cheryl Mahr for information.